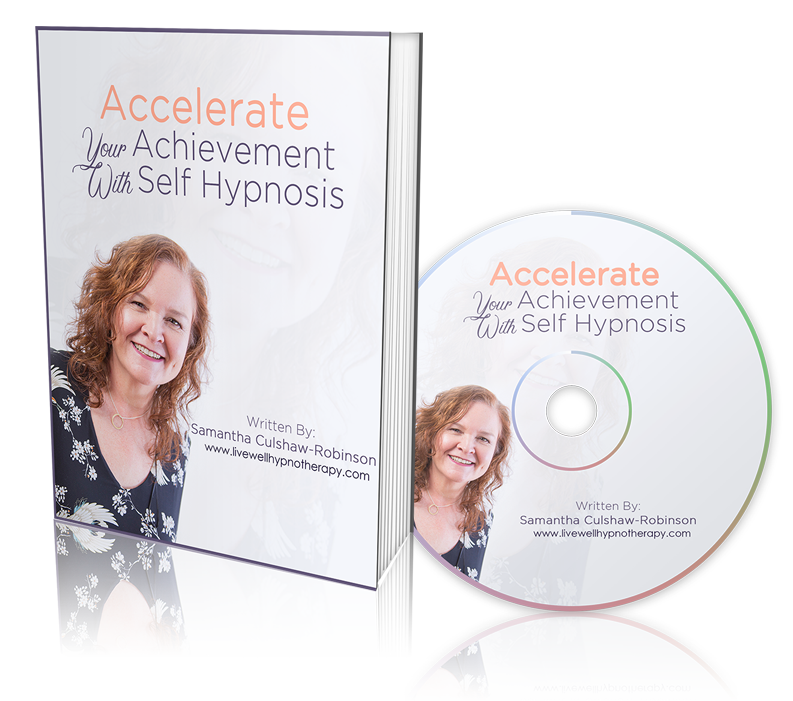 Tick here to receive my weekly emails, details of products and services and also receive your Bonus 'Accelerate Your Achievement With Self Hypnosis eGuide/MP3. You can withdraw your consent at any time. Clean Eating – Should we let others define that what we eat is “bad”? Having an unhealthy relationship with food is usually an indicator that you are unhappy with the way you look and feel about your weight. This kind of relationship is completely one-sided. You feel very strongly about food, whereas food, of course, has no idea that you even exist. Yet, this relationship is ruling your life. These are 5 of the most common signs that your relationship with food is out of balance. With each, we have given you a possible solution to mould your relationship into a healthier one. Whether you have decided that you can only eat certain foods or whether you have a need to cut out certain food groups, you are completely inflexible when it comes to food. It takes you ages to choose from the supermarket or from a menu because of the all the things you cannot have. Possible solution: as it happens, eating a wide variety of foods is really good for you, both nutritionally and emotionally. Try to deviate from your rules in small ways by incorporating little bits of joyous foods now and again. When you realise that nothing bad happens, you don’t have to worry to loosen up a little bit around food and start enjoying a wider variety of it. You eat a slightly larger meal, you feel guilty. You give in and have a small treat, you feel guilty. You binge on a carton of ice cream, you feel guilty. You pretty much feel guilty all the time. Could it be that you’re feeling guilty because you’re holding yourself to impossible standards? Possible solution: everybody slips up now and again. Most people will eat a bit more one meal, a bit less the next. Overall it balances out, and that’s a good thing. Be aware that you can give yourself permission to enjoy a “larger” or not so healthy meal, it will balance out with the next meal. Think 80:20. Make a note of what you eat during the week and see if you are in the balance of 80% healthy food and 20% not so healthy. If you eat like this, it is sustainable. You won’t feel as if you are missing out. You are eating like a slim person. Don’t make food the centre of your life, don’t give it too much power over your emotional wellbeing. You have the need to run for several hours or do a gruelling workout because you had a piece of bread with your salad. Or you go on a several days fast because you joined in with having pizza. Do you really need to punish yourself every time you eat “normal” food? Possible solution: have you tried mindful eating? Instead of guiltily cramming down as much as possible and then regretting it and punishing yourself, why not mindfully enjoy the food. Slow down a lot, take in how the food looks, the aroma, how it sounds when you bite into it, the texture on your tongue and in your mouth and especially the taste of every little bit of it. Slowing your experience down this way will make you appreciate the food and because it slows you down, you’ll feel full fast and won’t be able to eat a lot. But you’ll savour it and you won’t feel the need to punish yourself. Eating in public makes you feel self-conscious, so you avoid it at all cost and with one excuse after another. This means you never experience the joys of sharing a meal with others. Possible solution: start small. Instead of only ever eating by yourself, invite someone to yours who you trust, and you know will not judge you. Once you’re happy with that, slowly add another person or two, until you feel happy again to eat in public. Working up slowly will increase your confidence. You don’t have to do it all at once. This is usually a sign that you don’t trust yourself around food. You know that the food is in the house and your cravings are stronger than your will power. You can finish whole cartons of ice cream and huge bars of chocolate in one sitting. Possible solution: did you know that you can train your brain how to react to food? This can be achieved through hypnotherapy. We can teach your subconscious to leave any foods well alone even if they’re right there on display. As a hypnotherapist I can help with any of the above issues by working with your subconscious to get to the root of your challenges. 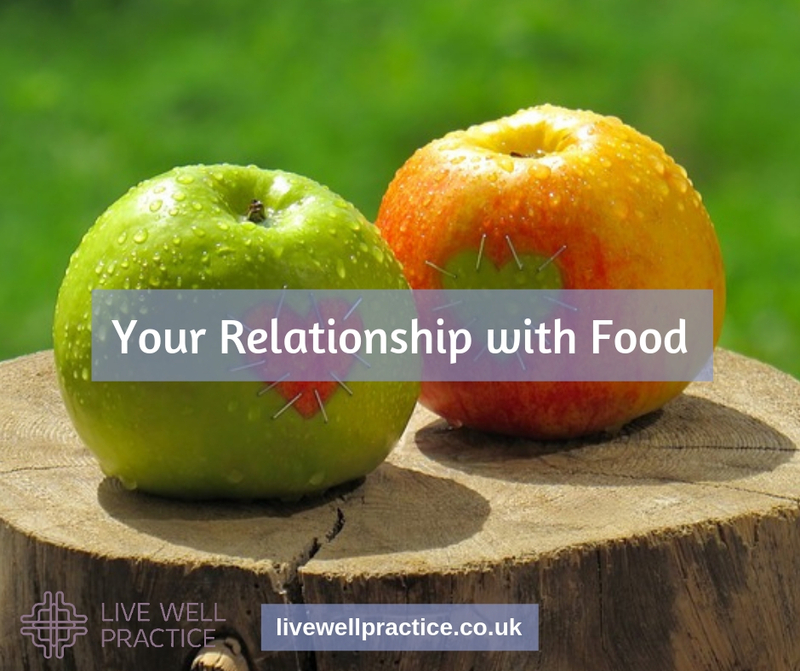 We come up with solutions that work for you and heal your unhealthy relationship with food. I, Samantha Culshaw-Robinson, a qualified hypnotherapist and mindfulness practitioner, have been helping people reach a healthy weight since 2010. To find out what some of my past clients are saying please click here. If you would like a complimentary introductory session to find out if hypnotherapy and/or mindfulness is the right tool for you, please get in touch. You can email me at sam@livewellpractice.co.uk or via phone on 075 222 777 22.